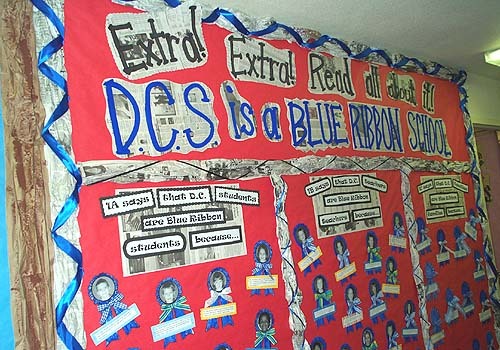 the recognition of their school as a Blue Ribbon School . Each student wrote "I'm a Blue Ribbon student because...."
decorated with ribbon forms the border and dividers. Press "Go" to search for Reading the Newspaper.